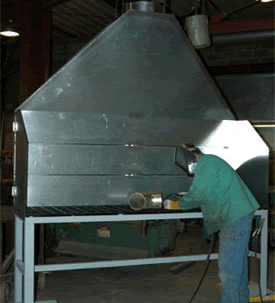 Slotted Fume Hoods are ideal as a capture mechanism for fumes produced by welding, grinding, buffing, etc. 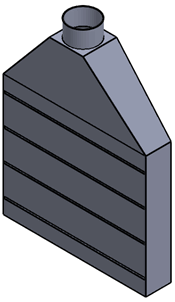 Unlike a standard fume hood, a slotted fume hood is more energy efficient and cost effective by creating a more restrictive and faster airflow pattern from a smaller fan. 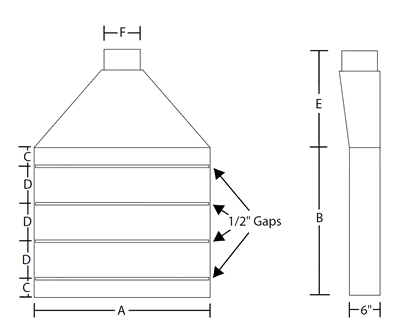 They are cheaper than a downdraft table solution, and more user-friendly than a source capture mechanism. These items are not made by Nordfab, but they do work with the Nordfab clamping system.